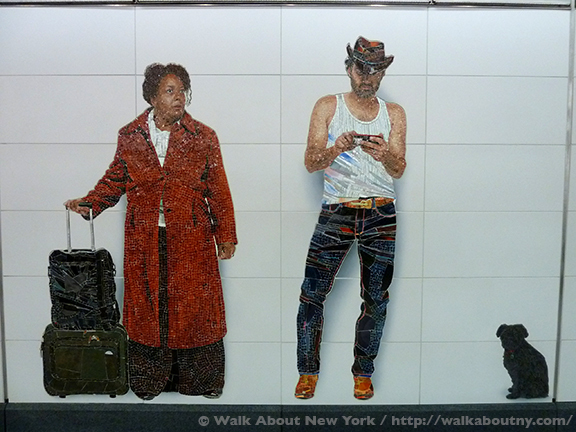 Part of Vik Muniz’s “Perfect Strangers” at 72nd Street and Second Avenue. “Perfect Strangers” it is! 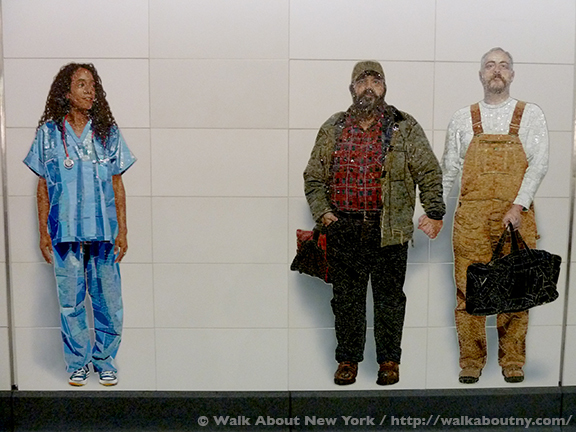 This title of Vik Muniz’s art installation at the 72nd Street stop along Second Avenue describes the diversity of the riders of New York City’s subway in particular and the neighborhood residents in general. January 1st 2019 marked two years since the Second Avenue subway opened. 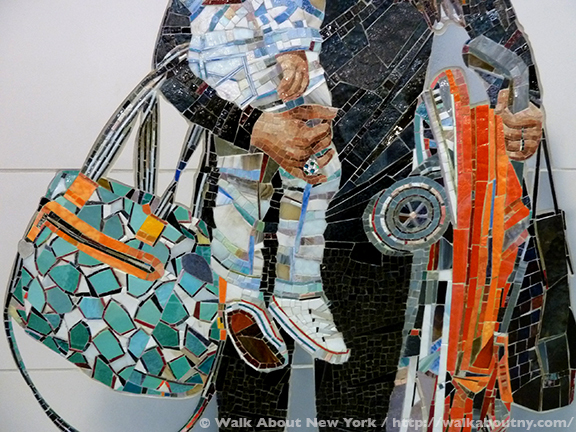 Detail of Vik Muniz’s “Perfect Strangers” at 72nd Street and Second Avenue. 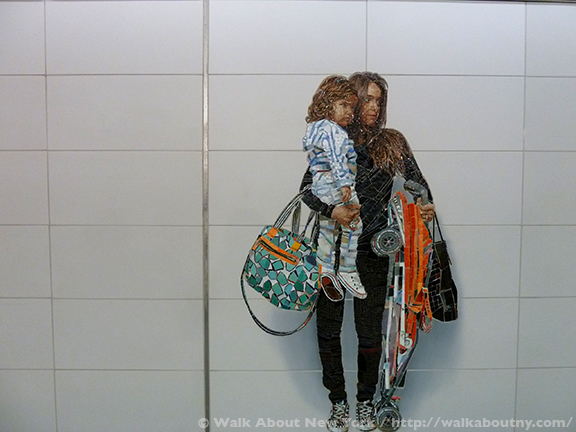 Four public art commissions were completed for the new Second Avenue Subway. Sarah Sze’s blue and white porcelain work at 96th Street surrounds riders. 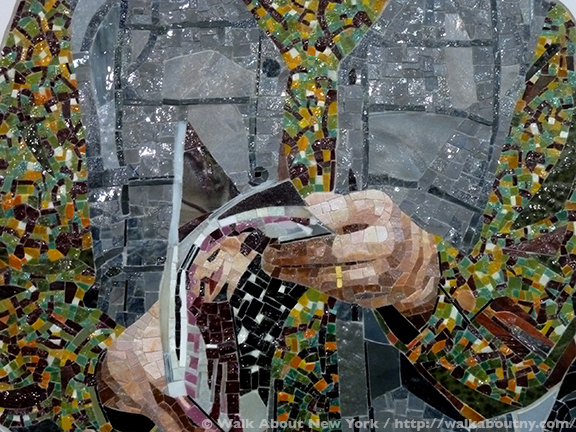 At 86th Street, Chuck Close worked with micro-mosaic and glazed-tile artisans to recreate a dozen of his portraits of cultural figures, including himself for a museum-like experience on the mezzanine level and in the stairwells. Jean Shin delved into New York City history to bring a project in three parts for the 63rd Street stop. Ms. Shin used laminated glass, ceramic mosaic, and ceramic tiles at three different levels to tell the story of NYC’s elevated trains, from operational transportation to their demolition, opening the streets, revealing the sky. Our favorite installation of the four, however, is Mr. Muniz’s. 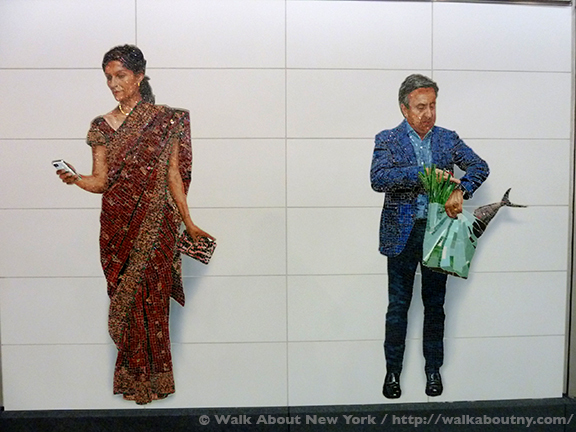 His “Perfect Strangers” glass mosaic figures, standing along the 72nd Street station’s mezzanine walls and stairwells, are good fun! 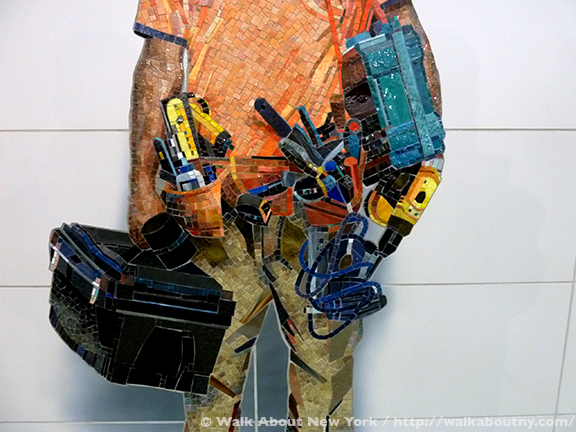 Comprised of three dozen figures, “Perfect Strangers” brings color and more importantly humor to the daily commute of straphangers. Mr. Muniz, an artist who divides his time between New York and Rio de Janeiro of his native Brazil, is best known for recreating famous works of art in alternate media, such as string and chocolate syrup! 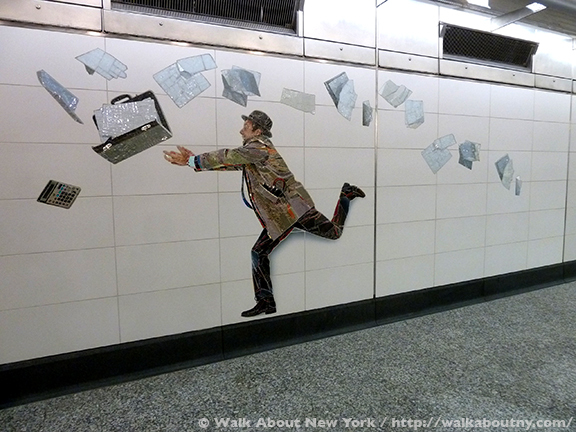 Mr. Muniz has incorporated a self-portrait into this installation, depicting himself tripping, then trying to catch his briefcase as its papers fly behind him. Some of the other models for the glass mosaic figures are people he knows, including his son (as the popsicle-holding cop, and wearing the Tony the Tiger costume), restauranteur Daniel Boulud (holding a market bag with a fish sticking out from it), the fashion designer Waris Ahluwalia (carrying shopping bags), and the French artist and author known as JR (releasing a balloon).They all seem to be waiting for the train like anyone else. They may be reading; they may be holding an instrument (a saxophone, a ukulele); or they may be caring for their children. 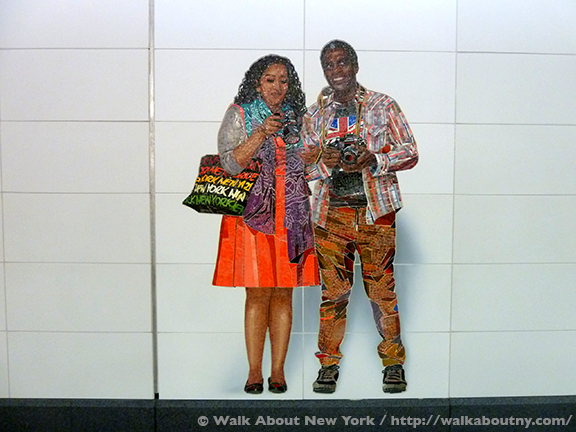 Although the artwork is titled “Perfect Strangers,” because the characters are familiar, the impression we are left with is that we might see any one of them at any moment on our subway ride. 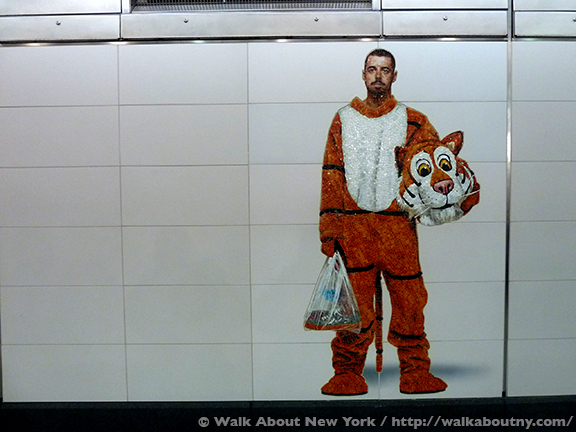 Mr. Muniz, who began his career as a sculptor before moving on to work in photography and collage, photographed more than 36 characters, representing the unique and quirky people encountered on the subway. 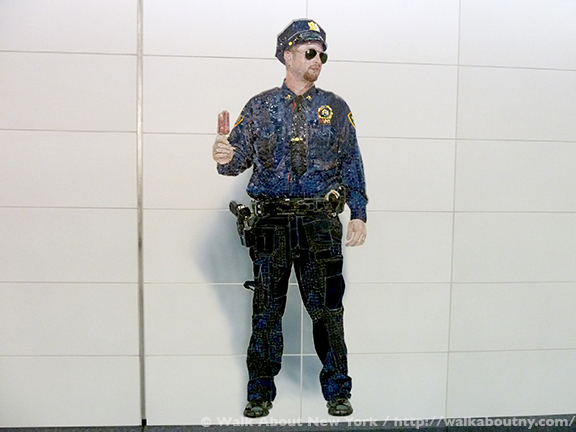 These photographs were then re-created, in a studio not on site, through glass mosaic tiles. 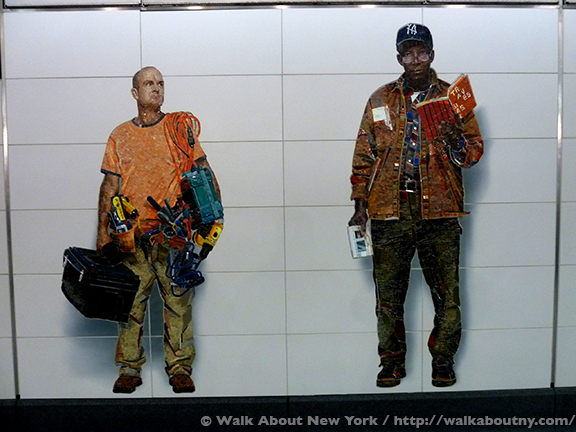 It could be said that these colorful New Yorkers “populate” the station. 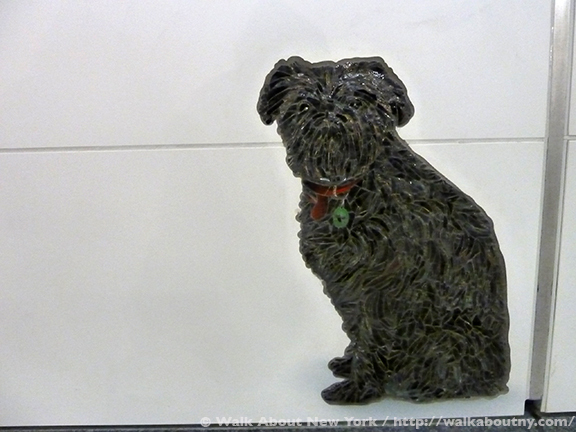 Selected between 2009 and 2011 the artists were announced by Governor Cuomo at the Museum of Modern Art. First thought of in 1929 but delayed because of the Great Depression, then by the Second World War, and by the economic decline of New York City, the Second Avenue subway was the largest expansion of the city’s subway system in decades. The historic opening of the new subway line has helped relieve congestion of the Lexington Avenue line, and expedited the commute of thousands of New Yorkers from the Upper East Side to Midtown and the Financial District. It is no secret that the Metropolitan Transportation Authority (MTA) is strapped for cash; the four stations that make up the Second Avenue subway project had a four billion-dollar price tag. By law the MTA must spend 1% of a renovation or new construction project’s budget on art; in this case the construction cost $4.5 billion, which calculates to $10.5 million for each of the four stations. This 1980s law has put aesthetics front and center, and it brings to mind the ambition of the city’s first subway designers. 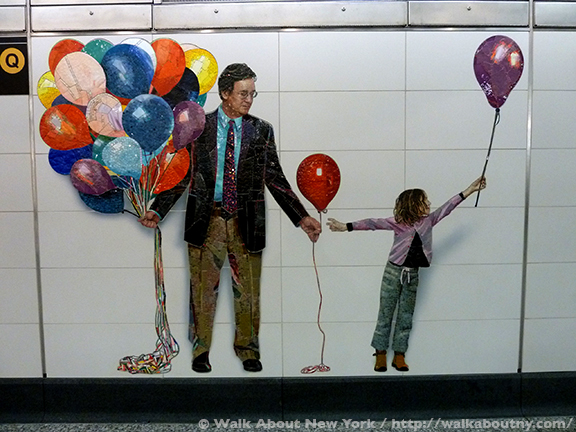 Integrating ornamentation such as mosaics, stained glass, and tiled ceilings was once equated with installing tracks. The current effort by the MTA to make subway stations architectural destinations rather than only utilitarian public necessities has been at the core of transit design in Asia and Europe for decades. Dtail of Vik Muniz’s “Perfect Strangers” at 72nd Street and Second Avenue. Amongst the characters a striking duo are the two men holding hands. These two married men, Thor Stockman and Patrick Kellogg, are friends of a friend of Mr. Muniz. A casual photo the two was snapped and embellished in the mosaic-making process. When they got the phone call that they were to be included in the final project, they felt as if they had won the lottery. It has been observed that this image of two men showing a bit of affection is the only non-political image of its kind in New York; and it will be here for years! —Patrick Kellogg, about his and Mr. Stockman’s inclusion in the project. Fabricated by the Franz Mayer of Munich, Inc., a mosaic and stained-glass company founded in 1847, the portraits are the result of its close collaboration with Mr. Muniz to turn his photographs into stunning works of art in another medium. 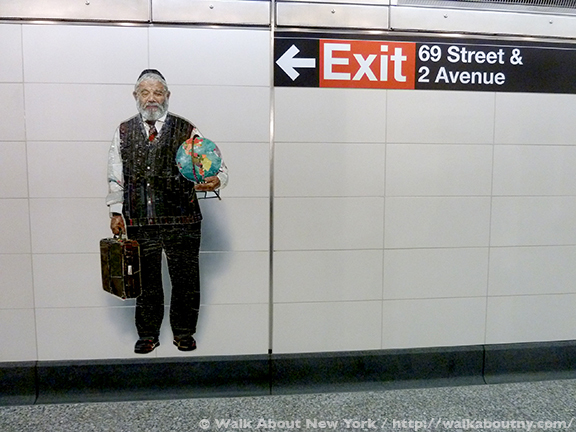 There may some disagreement about Mr. Muniz’s claim that it is only the people that are remembered from a subway ride; but there cannot be any disputing that his artwork is one thing that will be remembered long after the ride has come to an end. 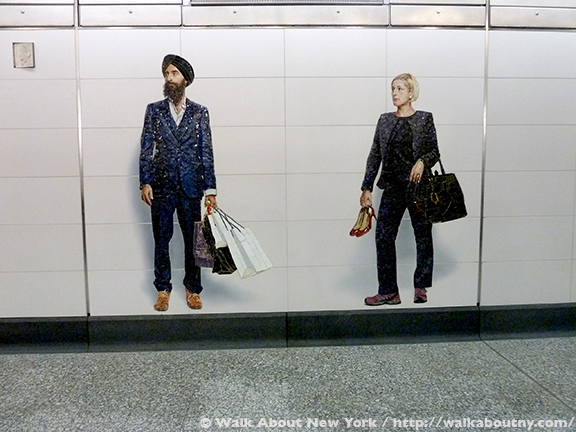 Please read our earlier articles about other public artworks that can be found in the New York City subway system. 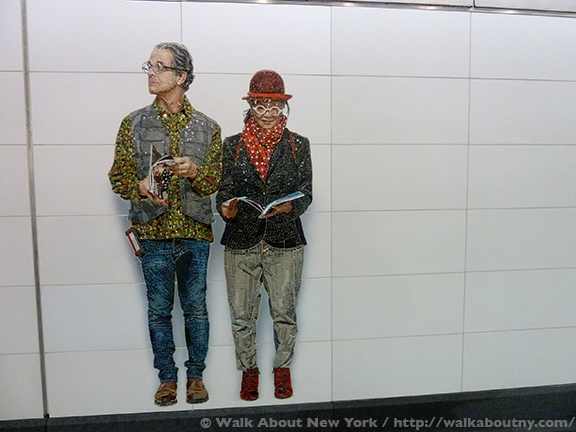 You can discover “Perfect Strangers” on our Second Avenue Subway Art Tour; and other works of art when you are part of our other Subway Art Tours. 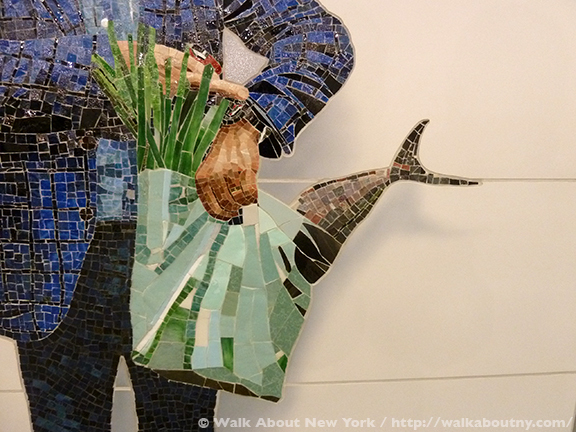 We have five different routes, covering 44 different subway stations where wonderful public art is only a MetroCard swipe away. 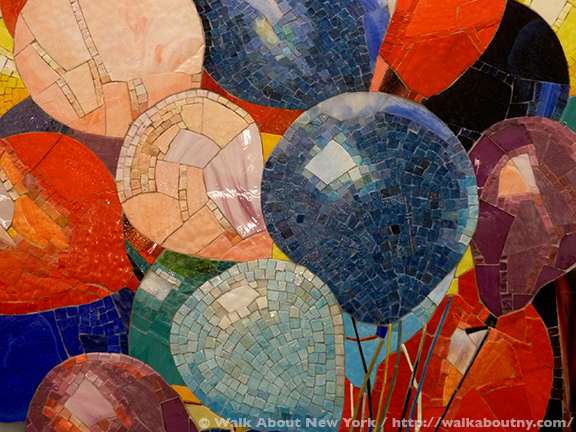 Discover the museum at the core of the Big Apple. Take the Tour; Know More!